I love music and am a big fan of music films, but have to confess that I didn’t know until quite recently that in addition to filling every live music venue in the city, Canadian Music Week also screens films. Programmed this year by my friend Jeff Wright (of Refocus fame), the film lineup looks particularly interesting. It helps that at my age, I find it easier to watch films about musicians (where I can control the volume) than to actually see many bands live. I’m kidding. Mostly. In any case you can get more information over at the CMW site. 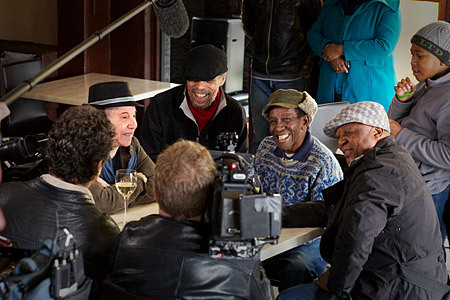 Director Joe Berlinger (Paradise Lost 3: Purgatory, Metallica: Some Kind of Monster) accompanies Paul Simon as he returns to a very different South Africa than the one he visited in 1985 to record his best-selling album Graceland. What makes this interesting is the political subtext; Simon broke a UN cultural boycott in 1985, visiting the country while it was still under apartheid rule. As he revisits some of the musicians he worked with on Graceland, they discuss politics and how South Africa has changed since the end of white rule. Oh, and they play a little music as well. 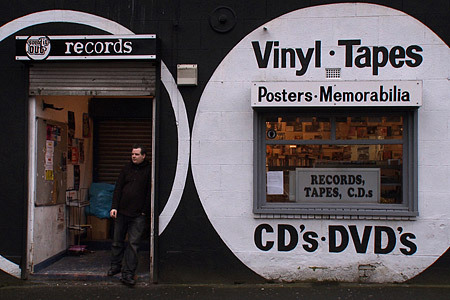 A charming and idiosyncratic portrait of one of the last remaining record stores in Stockton-on-Tees, a struggling industrial town in England’s economically depressed Northeast. Full of sympathetic characters discussing their love of music, Sound It Out will have you yearning for the days when a record store clerk complimented you on your taste. I saw it when it showed at South by Southwest last year, and you can read my review, if you dare. I missed this one at South by Southwest in 2011, but plan to catch it this time. 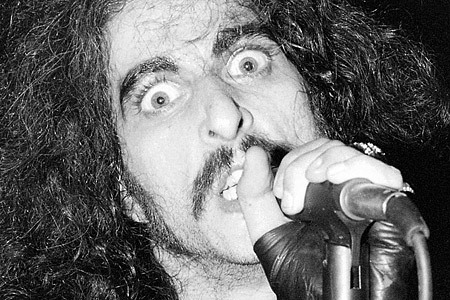 Pentagram’s lead singer Bobby Liebling has been at it for more than 35 years, and yet his band has achieved little in the way of commercial success. When young heavy metal fans finally discover the band, Liebling is living in his parents’ basement, struggling with addiction and the many disappointments of his life. Can the young fans help him overcome his despair? 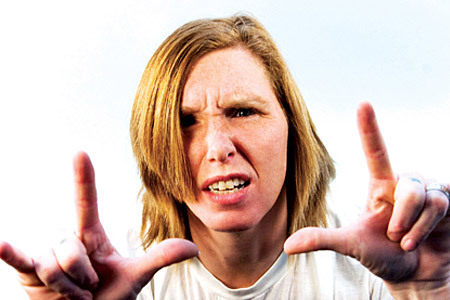 Hole drummer Patty Schemel is under the spotlight in this documentary, which also features home movie footage of Nirvana’s Kurt Cobain. Patty recalls the rise and fall of Hole, her relationships with other members of the seminal Seattle grunge scene (most notably, Hole’s singer Courtney Love) and her own struggles with the band’s success and then its dissolution. This is without a doubt the one I’m looking forward to the most. Created as a 71-minute music video for Girl Talk’s recent album All Day, Krupnick’s film evokes my favourite dance film of recent years, NY Export: Opus Jazz. Featuring the work of several modern dancers, most notably Anne Marsen, and shot completely “guerrilla-style” on the streets of New York, it’s both a love letter to the city and to the spontaneous joy of dancing in public spaces. The film was also completely funded on Kickstarter. It was so successful, in fact, that it received more than 500% of its requested budget. Do not miss this chance to see (and hear) it on a big screen. Even watching the trailer fills me with giddy delight. Tickets for all screenings are now on sale. The best place to find out how to get them is on the CMW Film Fest’s Facebook page. This entry was posted in Documentaries, Film Festivals and tagged #cmw2012, dance, music. Bookmark the permalink.